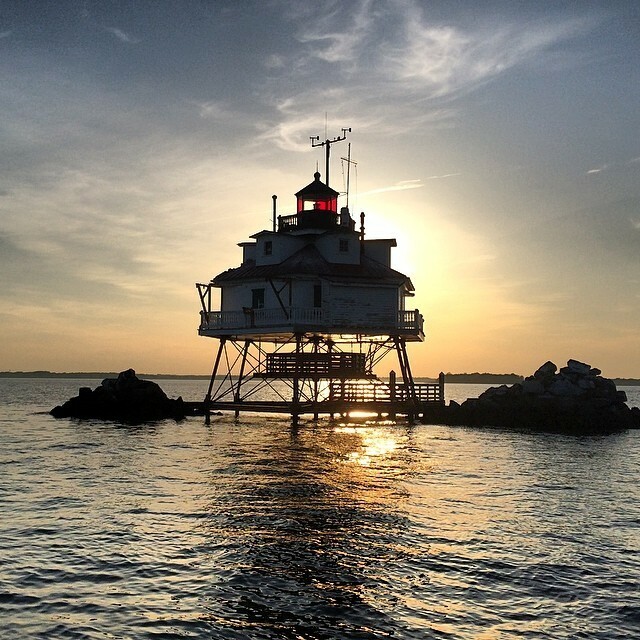 For more photos and videos from the lighthouse, explore the Thomas Point Lighthouse and Thomas Point Lighthouse, Chesapeake Bay location pages. 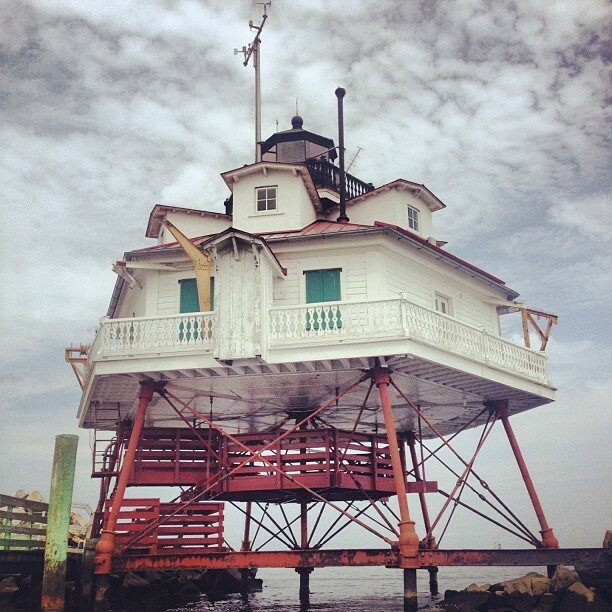 Off the coast of Maryland, the Thomas Point Shoal lighthouse has kept watch over the waters of Chesapeake Bay for nearly 140 years. Unlike traditional tower lighthouses, the Thomas Point beacon stands a mile and a half (2.4 kilometers) off the shore atop a stilt-like series of metal rods, or screwpiles, that anchor directly into the sandbank. While all other screwpile lighthouses in the nation have either fallen to winter ice floes or been relocated, the Thomas Point lighthouse has survived in its original location, earning it the designation of a National Historic Landmark. Up until 1986, a succession of men lived in and kept watch from the small six-sided Victorian cottage above the waves, lighting the oil lamp behind the crystal lens and hand-winding the fog bell. 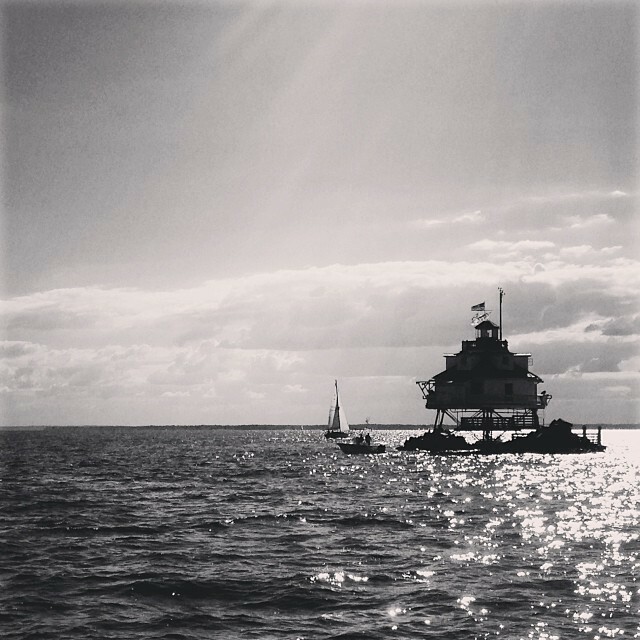 Nowadays, the Baltimore Coast Guard maintains the lighthouse from afar, and an automated foghorn and solar-powered lens have taken the place of their human-powered predecessors.